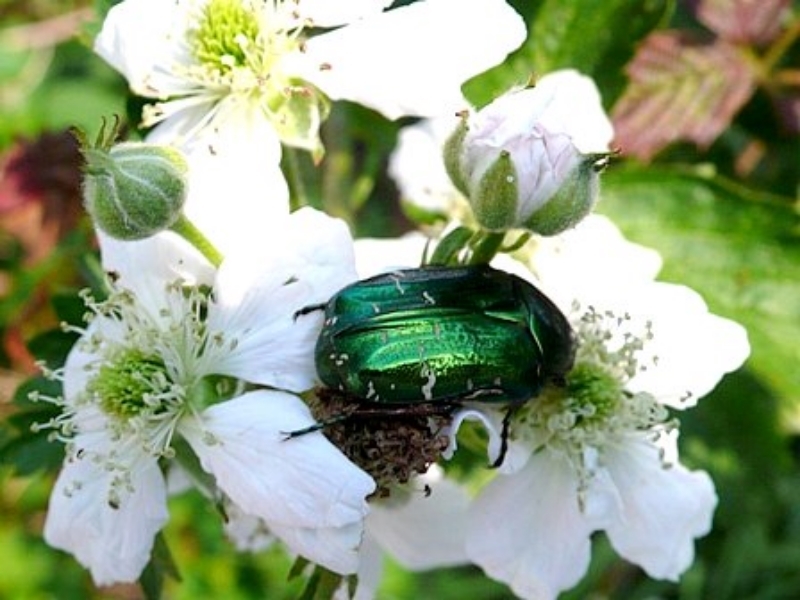 Meet Mr. Rose Beetle or chafer. There he is sitting still and allowing me to take a photo with all his iridescence. There is a reason for the fact that he was not flying around and exploring the world of the roses, although I just read that it feeds on all sorts of pollen, but prefers the rose pollen. So there I was sitting outside on the porch on a summer’s day with my computer and suddenly I heard the sound of a jet engine and a crash afterwards. Yes the rose beetle saw his reflection in the window, I assume, and thought at last someone to talk to. He crashed into the window which seemed to have knocked him a little unconscious. I felt quite sorry for him, so picked him up and put him on the table. No limbs seemed to have been broken and he needed some recovery time which was when I grabbed my camera for some detailed shots. 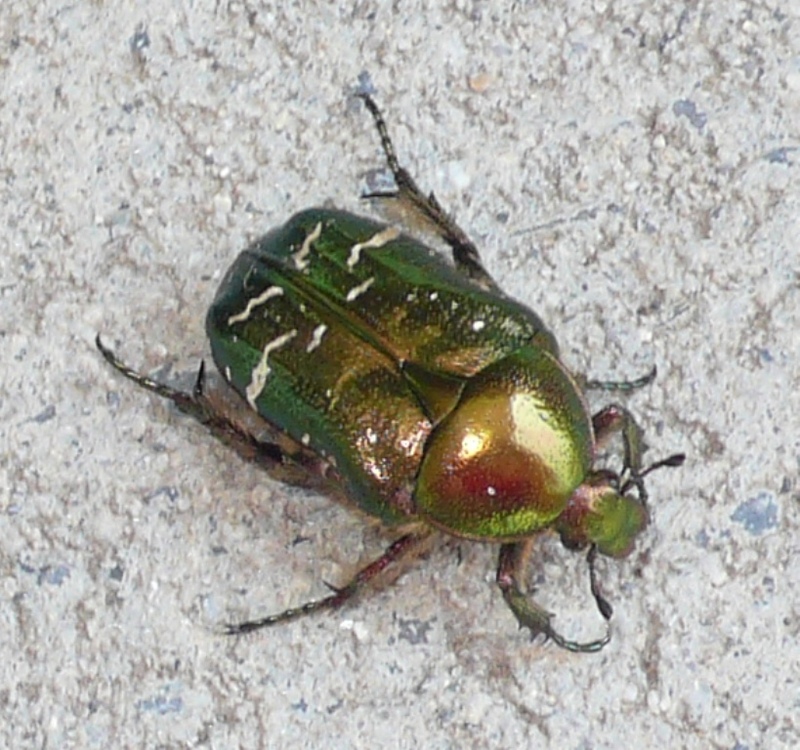 After a while he began to crawl again and suddenly he unfolded his green scaly iridescent wings and set off into the garden: another survivor in the insect world. Rose beetles can be quite clumsy sometimes. Is this a real bug? How big is it? Lovely photo. We get them in garden in summer and yesterday ( end of March) a brand new one emerged from the soil of a plant pot in my classromm, much to the delight of the kid sitting next to the pot!